You have been busted by the police or a gang at midnight. What will you do? Aiden (our protagonist)- “Not a problem…I can cause a CtOS blackout, take down my nearby enemies and hence escape by taking the advantage of the dark”. Well, I hope you understood the first three lines. If you couldn’t then let me clarify you that this is exactly what defines the gameplay of Watch_Dogs: hacking and stealth. If stealth isn’t actually your cup of tea then in situations similar to the above kind you can use your focus to slow down time and shoot down your enemies. But that completely depends upon you to handle. You can intensify the fun by combining hacking, stealth and combat. Combat is only required if sometimes things go wrong. 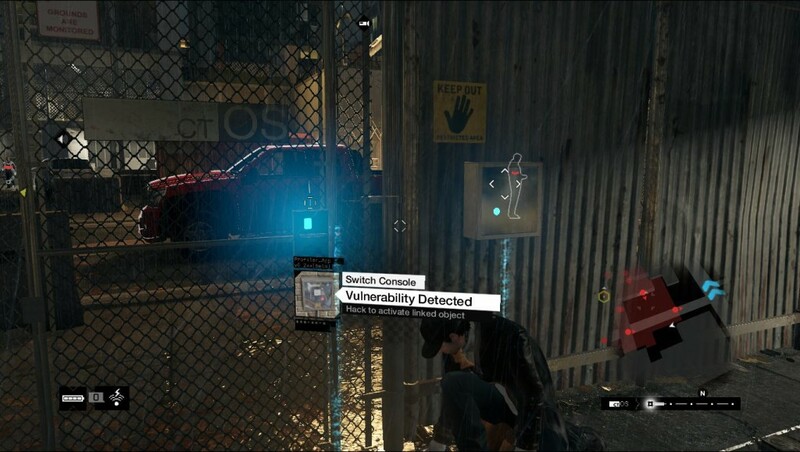 If you play Watch_Dogs, then you will generally encounter these kind of situations. When you invade highly restricted areas filled with enemy operatives to eliminate them,grab access codes, etc. you have to strongly rely on stealth and to make your work easier you can scout those areas by hacking cameras to reveal enemy locations, patrols and their line line of sight. Further you are provided with a wide range of options to deal with your enemy. 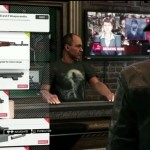 You can hack any explosive or grenade, disrupt coms, lure them by using certain gadgets, etc. In other words from a remote location you have the power to show that you are the real boss. When enemy vehicles are in your pursuit, you can neutralize them by hacking steam pipes, traffic lights, spikes, road blockers, etc. I would recommend you to use your focus ability, so that it slows down the time and makes things easier for you. Hacking when combined with stealth becomes a powerful tool and trust me it’s what you will enjoy the most within the game. Let’s discuss about the combat. To be frank, there is nothing new or unique. You have experienced it all in GTA series of games.You may enjoy it but you will not find it very interesting. There are situations within the game when you have to rely on combat alone. There are a wide range of weapons and tools to choose from. I used the grenade launcher against enforcers who wear heavy armor. The most interesting thing that you will really like in the combat is to pop headshots using the focus that I have already mentioned. 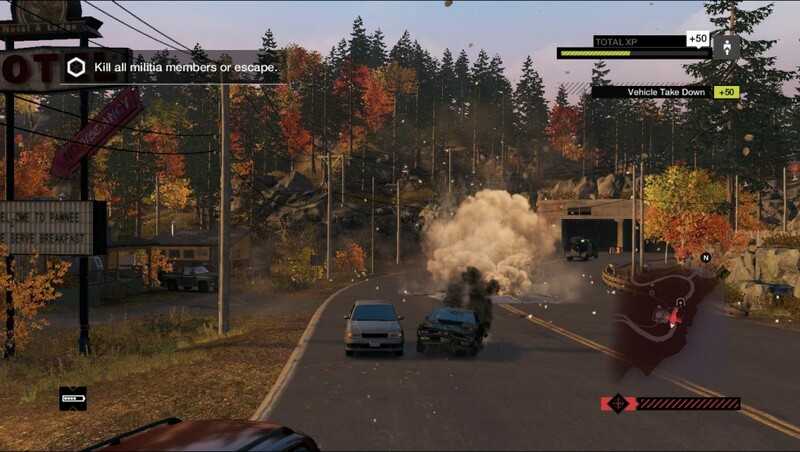 As you earn skill points you get to spend them on unlocking abilities from Aiden’s skill tree which is divided into four aspects: hacking, stealth, driving and combat. I almost forgot about driving. That’s where Ubidoft has missed the mark. Maybe there are many vehicles available but when you drive them you will know how it feels. Driving in Watch_Dogs is not that genuine as compared to that of GTA V. But you will really love when you get involved in car chases. 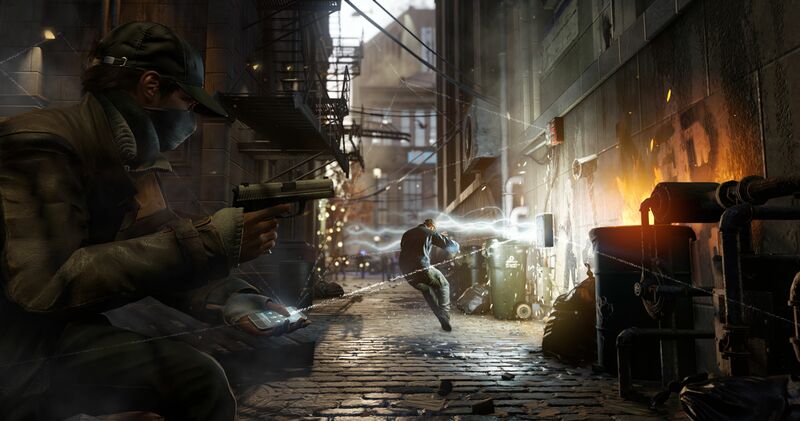 Ubisoft has done a fine job incorporating online features in Watch_Dogs to the single player experience. You can join private or public sessions with other players to free roam the city. You may also participate in online races, oline decryptions, CtOS mobile challenges, etc. So, you are provided with a wide array of online features to choose from. Once again I would like to thank Ubisoft for bringing an innovative approach to the multiplayer aspect of the game. Hats off to Ubisoft for expanding such a fine gameplay from a tiny smartphone. There are still many things you can do using Aiden’s profiler enabled phone. We have already discussed about it in the first review and I don’t think there is a need of elaboraton. But I would like to conngratulate Ubisoft to generate such a beautiful universe based on the concept of hacking. Hope you agree with my point of view. You are welcome to open critcism in the comments section below. You may also check the second review if required. The next article will be about the story of the game. Till then enjoy hacking! Next articleNOTE 4 is all set to have curved display.